After years of relative neglect by economic historians, recently long-term trends in economic inequality have become the object of considerable attention. Research teams in different parts of the world, including Europe and Asia as well as northern and southern America, have provided estimates of wealth or income inequality based upon a large amount of new data collected from the archives. In many instances, however, this research has remained isolated. Our session aims to promote comparison between different studies and different world areas, as well as to favour the development of common methodologies, an essential step to improve comparability of results. The session will focus on preindustrial times, from the middle ages to the beginning of the modern age. It will explore long-term trends in economic inequality by employing measures like the Gini index and significant percentiles, related to the distribution of income or wealth inequality, or both. Thanks to recent research, we now know that levels of preindustrial economic inequality were not immutable. While the general tendency seems to have been for a rise in inequality (which is compatible with an “inequality possibility frontier” expanding as per-capita GDP increased), we also know that within Europe (and presumably within other continents, too) different paths emerged, according to mechanisms which are still to be fully understood. More generally, long-term trends in preindustrial inequality were the consequence of many factors. Thanks to the amount of information currently being collected, better and more comprehensive explanations of long-term inequality changes now seem to be within reach. For example, in the case of Europe, the development of the fiscal-military states and the related increase in per-capita (regressive) taxation could explain why inequality was rising even in periods of economic stagnation. This session aims to be an important step towards a deeper understanding of these key historical processes, which are connected to key transformations in the economic and social structures as well as in the institutional framework. Regional differences in inequality trends can also be fruitfully related to the recent findings on the Great and the Little Divergence. How did international and inter-regional differences in the growth of income per capita relate to movements in inequality within countries? Did the two kinds of movements have common sources? That is, our session aims to explore whether differences in inequality (and in inequality extraction) could have been not only the result, but also a possible source of differences in long-term growth performance – hence, of divergence. The session welcomes contributions from all parts of Europe, Asia, and the Americas, both empirical (providing new data) and theoretical or interpretative. It is expected that paper givers will discuss region-wide phenomena, either in a comparative perspective, or with respect to factors accounting for inequality variations across the communities and changes over time. Regarding the period covered, as is well known the industrial revolution invested different areas of the world at different times. As a rule of thumb, the papers included in the session will involve the years preceding 1850, although exceptions might be made when justified by local specificities. After years of relative neglect by economic historians, long-term trends in economic inequality have become the object of considerable attention. Research teams in different parts of the world have provided estimates of wealth or income inequality based upon a large amount of new data collected from the archives. In many instances, however, this research has remained isolated. Our session aims to promote comparison between different studies and different world areas, as well as to favour the development of common methodologies, an essential step to improve comparability of results. The session focuses on preindustrial times, from the Classical Age to the beginning of the modern age. The included papers provide new evidence about long-term inequality trends, as well as about the causal factors of inequality growth or (more rarely) decline. The first sub-session focuses on southern and central Europe, while the second sub-session covers northern Europe, Asia and the Americas. What can we say about ancient Roman inequality? This paper introduces diverse datasets that can be analyzed to shed light on the scale and dynamics of economic inequality in the very distant past, focusing on the Roman Empire. This evidence expands the range for long-term comparisons from about 800 years (starting in the Late Middle Ages) to a time span about three times as long. This paper provides a long run view of inequality for the case of Spain. It starts from a new estimate of income inequality in modern Spain in which a breakdown of the Gini coefficient is used to construct the Gini on the basis f its components (namely, the dispersion within proprietors and workers' returns and the gap between their average incomes). Then, the Gini is compared to the functional distribution of income, the Williamson Index (that is, the ratio between GDP per worker and unskilled wages), and the land rent-wage ratio, and a close association is found over more than a century until the late 20th century. This suggests a short-cut for reconstructing inequality in the preindustrial era. Thus, long-run trends in inequality are offered from the actual ending of the Reconquest (1270) to the present. Some explanations are proposed. Most research on the history of inequality in pre-industrial economies has focused on either wealth or income. Characterizing the distribution of wealth (resp., income) is problematic owing to insufficient information about the distribution’s low (resp., high) end. Because the sources and methodologies differ between these two approaches, their results are not readily comparable and it is difficult to establish links between the respective distributions that result. In this paper, we shall use a unique data set for the north of Spain circa 1750 and present results—the first for any pre–20th-century economy—on both income and wealth distributions for the same sample of households. Information on wealth and income is derived from (respectively) probate inventories and the Ensenada Cadastre. 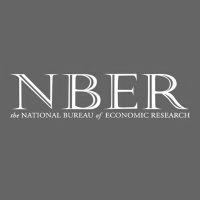 Our main findings are that poor households are not entirely absent from the data set of inventories, that a household’s position in the income distribution is strongly correlated with its position in the wealth distribution, and that increases in a household’s wealth are associated with less-than-proportional increases in its income. The terrible Black Death epidemic which affected Tuscany in 1348 caused a large-scale shock to the pre-existing social and economic structures. For example, we now know that it caused a significant decline in economic inequality. This paper provides new data about the redistributive consequences of the Black Death, and also explores a different, but closely related, aspect: social mobility. While for the city of Florence it has been suggested that the Black Death offered many opportunities for upward social and economic mobility, little is known about other areas of the Florentine State. This paper focuses on those communities of the Florentine "contado" for which pre- and post-Black Death sources (in particular, property tax records or estimi) survived. This paper presents new research on what was, until the beginning of the early modern period at least, one of the main economic powers of Europe and the Mediterranean: the Republic of Venice. In some respects, this is the world area for which we now have the most detailed information about wealth inequality and poverty, for the period from ca. 1400 until the end of the Republic. It is also an area perfectly suited to test some hypotheses about the deep causes of the tendency for inequality to grow that seems to have characterized almost the entire European continent during the early modern period, independently from economic growth. The paper explores the role played by institutions, and in particular by the rise of the fiscal-military state. The findings for the Republic of Venice will be placed in a broader European perspective. Measuring wealth inequalities in the long term is not easy, first because documentation changes over times and this complicates comparisons between different sources. In this paper, I question, at a theoretical level, comparisons for a same area at different periods and I discuss the relevance and scientific validity of this approach. In a second part I compare wealth inequality trends for few samples in North France (Normandie and Ile-de-France) from the 17th century to the 1850s. Economic inequality in ‘the promised lands’? Reconsidering the question of inequality in late medieval Flanders. In the two centuries after the Black Death, the highly urbanized and prosperous County of Flanders went through a period of economic reconversion: the traditional urban textile industries encountered increasing competition, and the importance of international trade in the Flemish economy diminished. Yet at the same time several authors have argued that during this period of economic stagnation and industrial decline, the urban middling groups managed to secure or even strengthen their position, as most Flemish cities successfully overcame the economic challenges of the late middle ages. This paper addresses the consequences of economic reconversion, demographic, and industrial decline on economic inequality in late medieval Flanders. In order to do so, it gathers together the available published and unpublished evidence on wealth and income inequality in Flanders from the 13th to the 16th centuries. It thereby aims to provide a better understanding of the social consequences of economic and industrial reconversion. The final section of the paper will compare these findings with other societies going through similar processes. For a growing number of European areas, we now have good-quality reconstructions of wealth and/or income inequality from the late Middle Ages until the beginning of the Modern age. England, however, has not been the object of comparable reconstructions yet. This is at least partly due to the fact that the English fiscal system did not provide us with systematic and homogeneous sources through the centuries. Another specific problem is that English fiscal sources tend to omit a large part of the population – the poorest part. However, the English fiscal sources provide an exceptionally good territorial coverage since early on. This requires to develop specific methods of analysis to make the most of the available data. This paper attempt to reconstruct the trend in wealth inequality in England, from the late thirteenth century to the end of the seventeenth century. This paper provides the first quantitative assessment of Jamaican living standards and income inequality around 1774. We compute welfare ratios for a range of occupations and build a social table. We find that, being a net food importer, the slave colony had extremely high living costs, which rose steeply during the American War of Independence, and low standards of living, particularly for its slaves, but also for the free unskilled that competed with slave labor. We also show that Jamaica was the most unequal place in the pre-modern world. Furthermore, all of these characteristics applied to the free population alone. This paper examines long term trends in economic inequalities in the core areas of the Ottoman Empire from 1500 to 1914. The detailed but incomplete evidence we have compiled from urban wages, the wages-GDP per capita ratio, wages-land rent ratio and the evidence on distribution of wealth from the probate inventories in urban areas indicate that economic inequalities fluctuated but tended to rise during the early modern centuries and also during the nineteenth century. The paper considers some limited increase in per capita incomes, demographic cycles, most importantly the recurrences of the Black Death which lasted until the 1830s, institutional changes and state policies amongst the most important determinants of the changes in economic inequalities during this period.